Every conscientious employer believes that safety in the workplace should come first and that every employee is entitled to a safe and healthy work environment. Truly progressive and forward-thinking businesses believe in rendering a healthy work environment where their team feels cared for, boosting morale and ensuring a positive culture. 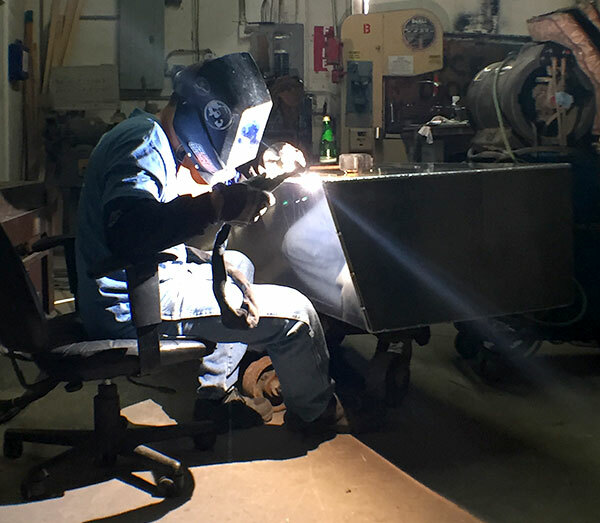 To this end, many companies in the marine industry are interested in becoming OSHA authorized, and Dolfab Metal Fabricators is no exception. What exactly is OSHA? What does it mean to be “OSHA authorized”? What is an OSHA authorized business required to do? OSHA, an acronym of ‘Occupational Safety & Health Administration’, is an American Governmental Agency that works for the welfare of the employees. It was created in 1970 to “assure safe and healthful working conditions for working men and women by setting and enforcing standards and by providing training, outreach, education and assistance”. According to OSHA, no company and organization has the right to harass or put their employees at risk. The lives of the employees are more important than the organizational benefits; with these fundamental ethics in mind, OSHA was created. OSHA is part of the United States Department of Labor covering most of the private sector and some public sector businesses and workers. OSHA provides businesses with education, consultation services, compliance assistance, and cooperative programs to help prevent injuries and fatalities in the workplace. OSHA agents are also tasked with conducting random inspection checks whenever there is a complaint or reason to believe employees are at risk. What does it mean to be “OSHA authorized”? To become OSHA authorized, a business must abide by a series of rigorous OSHA standards and regulations, comply with strict communication requirements, and maintain meticulous records. Management must sit through specialized training and then schedule a meeting with an OSHA consultant who will conduct a physical on-site inspection to identify possible hazards, whether mechanical and environmental. During this inspection the consultant ensures that the company is not currently violating any OSHA rules and that it will adhere to future standards as well. What is an OSHA Authorized business required to do? Providing a workplace free from serious recognized hazards and comply with standards, rules and regulations issued under the OSH Act. Examination of workplace conditions to make sure they conform to applicable OSHA standards. Making sure employees have and use safe tools and equipment and properly maintain this equipment. Using color codes, posters, labels or signs to warn employees of potential hazards. Establishing or updating operating procedures and communicating them so that employees follow safety and health requirements. Providing safety training in a language and vocabulary workers can understand. Posting, at a prominent location within the workplace, the OSHA poster (or the state-plan equivalent) informing employees of their rights and responsibilities. This is just a summary of the many responsibilities bestowed upon a business that chooses to become OSHA authorized. They also must stay informed and in compliance of any changes in regulations. All of these responsibilities, and the initiative to undertake them, is a demonstration of good faith and will on behalf of the employer toward the employees. Dolfab Marine Metal Fabricators is proud to be an OSHA authorized business. Our good standing with the OSHA allowed us to become one of Lauderdale Marine Center’s preferred vendors. We take our employees’ safety seriously and we want to make sure they work under the best possible conditions.